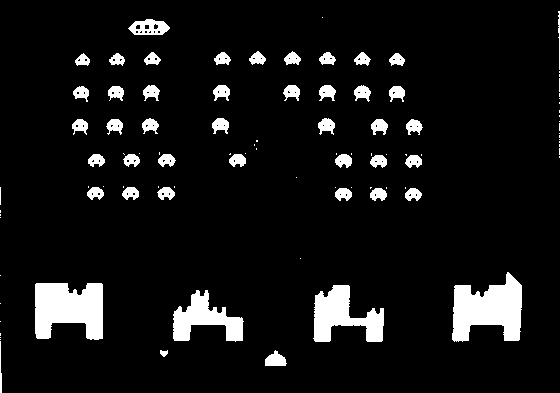 The most popular video game, with invaders, flying saucers, shelters, and full sound effects, now available for the ATOM. Program 5K, graphics 6K. 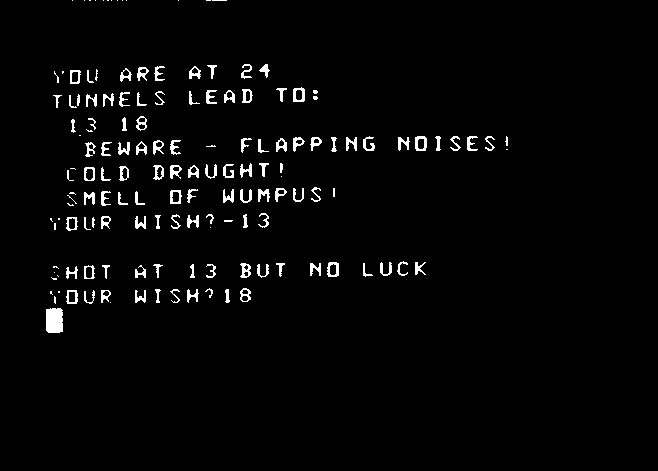 You are wandering in a network of caves inhabited by the Wumpus. Discover where he lurks and shoot him before he eats you; the pits and bats don't make things any easier. 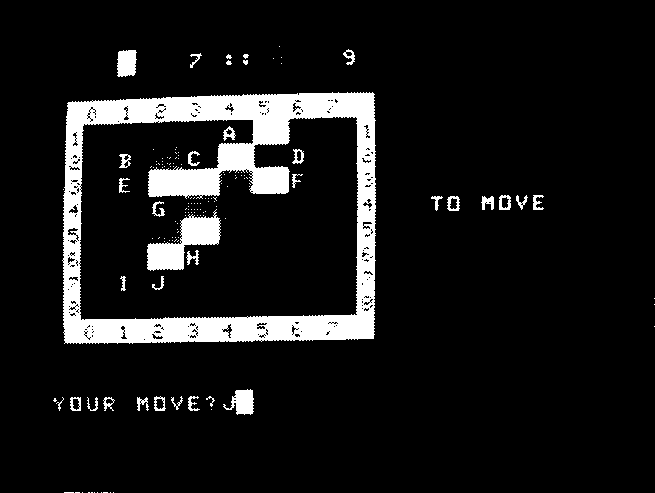 Program 2K, graphics ½K. Reversi, also called Othello, is played with counters that are black on one side and white on the other; players take turns in placing and turning over counters, and the player with the most counters wins. Program 3K, graphics ½K.